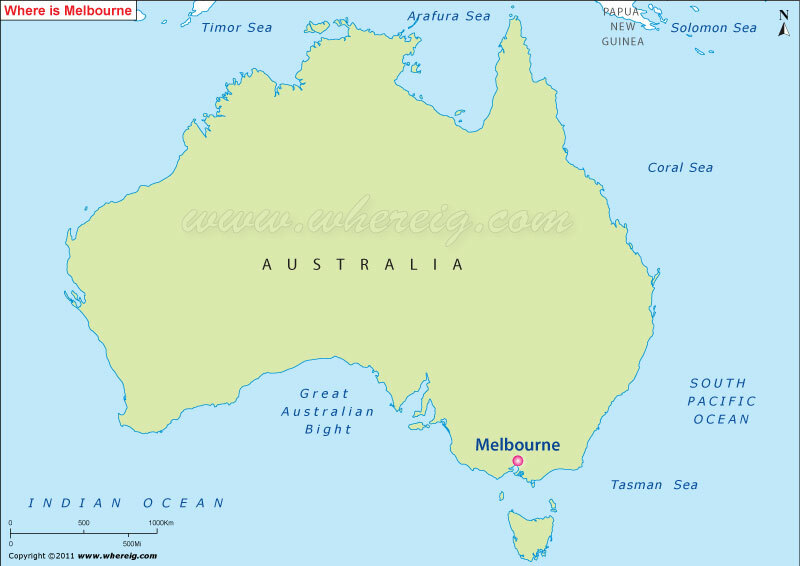 Where is Melbourne Located, Australia? shown in the given Melbourne location map that Melbourne is located on the coast of Bass Strait in the south-east region of Australia. Melbourne is the capital city of Victoria state of Australia. The city Melbourne is situated on the large natural bay known as Port Phillip. The metropolitan area of Melbourne consists of 30 municipalities. The center of Melbourne City is commonly known as "Central Business District" or simply CBD. The region of CBD is the larger geographical area. Primarily, the city was founded by the settlers of Van Diemen's Land in the year 1835; however, the name has been given by Governor Richard Bourke in 1837. After a few years, Melbourne was declared as the city by Queen Victoria officially. At present, the city is center of education, arts, commerce, sports, entertainment, and tourism. Interestingly, Melbourne is the birthplace of cultural institutions such as Australian film, Australian television, Australian Rules football, and Australian dance styles. Besides, Melbourne is also a major centre for contemporary and traditional Australian music. Probably, because of all these reasons, Melbourne is more often considered as "cultural capital of Australia."